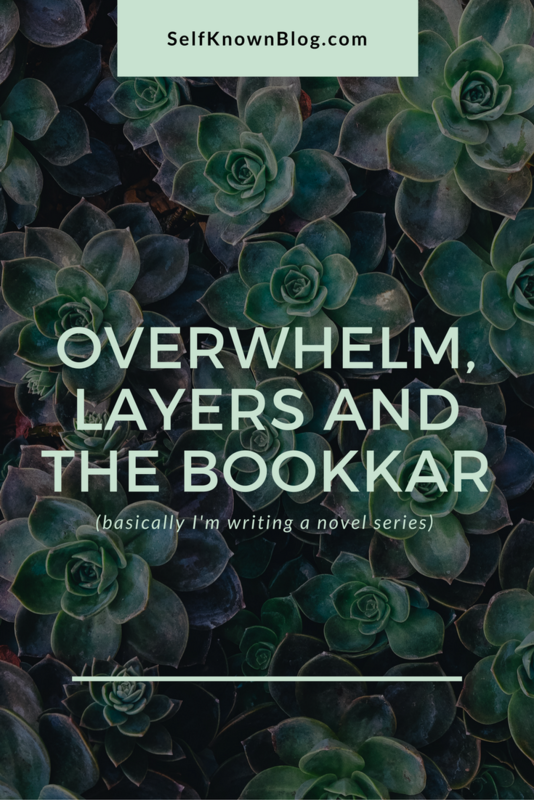 Overwhelm, layers and the BookKaR? My good ol’ pal, Mackenzie (Think. Eat. Write. Read.) and I are writing a series together. We have book one’s first draft finished, and after a month’s break we are going back through and rereading it. And man, is it stressful. If I could describe this first draft - or any first draft, for that matter - as anything, it would be a pair of well-loved jeans. There are holes, frayed edges and even though you love how they fit, they’re on their last leg (HAH) and it’s almost time for an upgrade. In enters Stress and Overwhelm. I have written several first drafts, but never have I gone about actually editing them. It’shard. It’s scary. Sometimes I HATE it. But it’s something I need to learn. I keep saying take it one step at a time, take your time, this will work out, but friend, it’s still icky. Saying it will get better doesn’t make the hard work of building a story any less... work. Saying it will get better doesn't make the hard work of your goal any less... work. This is where all the layers of what we’ve discussed intersect. Here, we break things down. We get messy. We strive for authenticity. We work, we push, we cry, we keep staring at that end goal and thinking about how desperately we want it.We step back when it becomes too much. Is that what you need to do? Take your weekend to relax, breaks things down and allow yourself some time to breathe. Go over what you know, research what you don’t and open your hands when you need help. Genevieve Arden has had to be the provider in her family for as long as she could remember. On the slip side, ice cream scooper by day, secret superstar by night Maria Bullard has had everything handed to her since the day she was born. The two live separate lives until one day they are joined together by Noah, the hyper boy with the ratty coffee thermos, and the kidnapping of Gen’s sister, Callie. Despite their differences, will they be able to work together to get Callie back? Who is this Mackenzie you speak of? I'd like to meet her, she sounds... peculiar. *emerges from the shadows* ...conco.